The signs of the fire on the walls and charred coral fragments on the floor of Nuanumanga Fires Caves wouldn’t represent anything unusual if the cave would be located above the sea level. 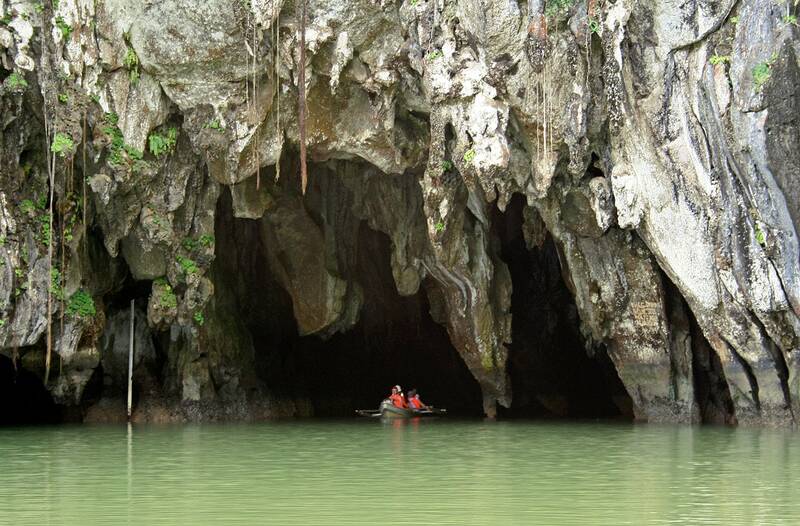 But these caves are located 37 – 46 m below the sea level! The ocean level was that low approximately 8,000 years ago. But current history books say that first people came in these remote islands 3,000 years ago. A reef blasting team from New Zealand was working in Tuvalu in the late 1970s and 1980s – they were helping to make safe thoroughfares through the reefs, because many islands here were surrounded by dangerous, nearly impenetrable rings of coral reefs. One such thoroughfare was made also in Nanumanga island. In 1986 two scuba divers of the team decided to investigate an interesting local legend of Nanumanga about "a large house under the sea". In the northern end of the island, in the steep submarine wall of coral reef they really found a cave. The dive to the cave was deep – more than 40 m deep. Divers noticed dark patches on the walls and ceiling and blackened coral fragments on the cave floor – signs of habitation and use of fire in this submarine cave. In several places in the world are known submarine caves which have been inhabited by the people in distant past. The most striking example might be Grotte Cosquer (France, Provence-Alpes-Côte d’Azur) – a cave 37 m below the level of Mediterranean Sea. People made magnificent paintings on the walls of this cave 27,000 and 19,000 years ago. Sea level has undergone significant changes since the last ice age. 20,000 years ago, when much of the world’s water was accumulated in giant ice sheets in the north, ocean level was some 130 m lower than now. When the ice sheets melted, sea level rised. Especially quick this rise was 14,000 – 8,000 years ago, when many formerly dry areas of land were inundated. Many ancient human settlements along the sea level now were deep under the sea. Sea level rise continues up to this day and most likely is accelerated by the global warming. Thus the last possible time when Nanumanga Fire Caves were not filled with water and here could be lighted fire was 8000 years ago. And a fire in the cave could be lighted only by the people. Current archaeological evidence in Polynesia though testifies that people came here some 3000 – 3500 years ago. The oldest dated human settlement in Polynesia is Mulifanua site in Samoa, where the pottery sherds were made approximately 3000 years ago. Could it be possible that 5000 years earlier in Polynesian islands were living some other, unknown people? Gibbons, John R. H., Clunie, Fergus G. A. Sea Level Changes and Pacific Prehistory. The Journal of Pacific History, Vol 21, Issue 2, 1986, pp. 58 – 82. Tuvalu History. The Age, 13 April 1987. Tuvalu is an island country. Total area of these scattered islands is just 26 km² – this is one of the smallest countries in the world. 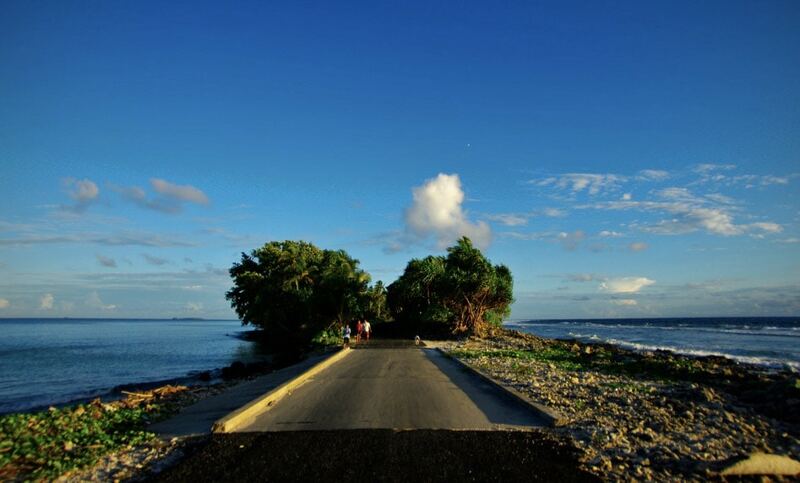 The highest elevation in islands is only 4.6 m above the sea level – thus Tuvalu is the lowest country in the world. Nevertheless the islands are covered with lush green vegetation and inhabited by interesting people with distinct cultural traditions. Tuvalu is a Pacific nation of low lying coral atolls and islands whose existence is threatened by climate change and rising sea levels. This large format, softcover, full-colour photographic essay will show the world what will surely be lost as sea levels rise: a unique culture and environment irrevocably erased. This moody and evocative portrait of the tiny island nation is a foray into previously undocumented territory.